Finally, a border wall we can live with. This isn’t original, I found this photo on social media. But I believe I’m the first to associate this photo with a border wall controversy we’ve been fighting about for years and which recently shut down the U.S. government — not the millionaires and billionaires in Congress or the White House — but the regular people who actually need their paychecks. If you look at the photo accompanying this column, you’ll figure it out. 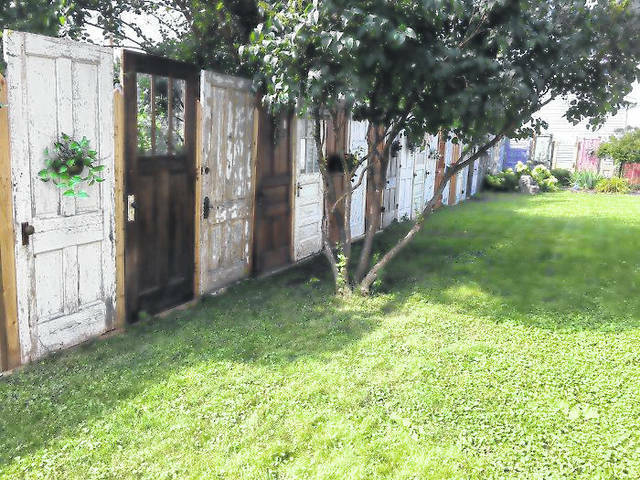 It’s a bunch of old doors fastened together to separate one area from an adjoining area. But in, my eyes it’s a compromise to the border wall grandstanding that’s been going on for years, and which has taken center stage in recent months. See it yet? A fence. Made of a bunch of old doors. It could be our border fence … with an open door policy. And it won’t cost billions. Heck, I have about 10 or 12 old doors in the rafters of my garage that I’ll donate to the cause. I bet there are millions of old, unused doors around this nation. Even if we had to pay, say, $20 each, and gave them all a new coat of paint, I bet we could put that fence up for less than $50 million. Just think of the airplane junkets around the world that Congress could pay for with those savings. But …. would it work? Don’t be silly. Of course it wouldn’t work. But that’s not important to Washington D.C. politicians anyway. All that matters to Congress and the White House — and the national media — is that we can keep this divisive issue on the front page of newspapers and at the top of news shows for many months to come. There is no better way to foment the hate and anger they continue to brew. Folks in Washington don’t want a solution anyway. Compromise and getting stuff done? I remember a time in America when that was a actually a goal. That’s what I strive to be. 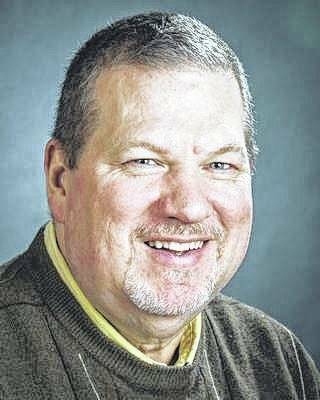 When I write a column or choose an article or guest column to put in the Galion Inquirer or on our website, my main goal is to get people talking, and communicating with one another … via our website. Website hits and social media visits are how newspapers measure success now. Open and polite discourse is something very much absent in much of Washington D.C. these days. It’s sometimes missing in the comments sections of our website (www.galioninquirer.com) and our Facebook page. But the comments have not been profane or so bad that I’ve had to delete or ban anyone from posting on our sites. That’s something I DO NOT wish to do. I publish articles that favor a conservative point of view, and I publish columns that favor a liberal point of view. I run columns by Ohio’s two senators, Sherrod Brown (Democrat) and Rob Portman (Republican). Believe it or not, I try to be even-handed and try to run as many liberal columns as I do conservative columns. I’ve also writtencolumns that have offended the sensabilities of both. And readers are not shy about letting me know I’m an idiot or moron. And that’s OK. I grew up in a big family. I’m used to name-calling. My goal is to get people to talk, and think and share ideas. I don’t always read the comments. I don’t have the time. And when I do read them, I’m not surprised. Readers are passionate. And that’s fine. However, be civil and polite and don’t use profanity. Most ‘bad’ words are automatically filtered. But not all of them. There are always imaginative people who manage to thwart the rules. I found out this week that one of the columns I ran recently was removed from our website. I didn’t know it until someone pointed it out to me. After some research, I learned that I was the culprit. I think what happened was that I was trying to delete an old weather story, and deleted the column by accident. There was no evil intent on my part. I was not favoring one side vs. another. It was an error. End of story. That column has since been placed back on our website. So again, have at it. Just be civil. And if you find there is someone in our comment sections being abusive or completely out of line or off the wall, please email me at rkent@aimmediamidwest.com and I will check into it. Banishment is a tool I’ve yet to use, but you never know. I also can shut off comments on any article I publish, which I also have refused to do thus far. However, with the divisive examples coming out of Washington, the anger among readers and those who post their own comments takes very little time to build.